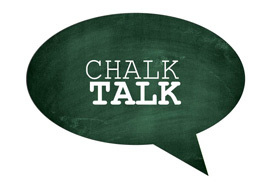 Welcome back to another edition of “Benefits Chalk Talk.” In this series at our blog, we provide you with valuable, up-to-date, relevant information about health benefits planning so that you can put the things in place that make the most sense for yourself or your company. At Policy Advantage Insurance Services, we feel that informed consumers can make a really big difference in our industry. Today we’re talking about “Integrated HRAs.” If you’ve been reading our blog, you’ve heard about HRAs (or Health Reimbursement Arrangements) before. We’re a big proponent of them (HRAs in general) for a number of different reasons. They’re a very “money smart” concept when it comes to health benefits planning. If you want to understand more about the general nature of HRAs before moving on, you can read about them here. Question: What is an Integrated HRA? A group health insurance plan. A health reimbursement arrangement (HRA). Question: What kind of group health insurance plan works with an HRA? Answer: Any kind of group health insurance plan works with an HRA, as long it (the group health plan) conforms with PHS 2711 (no lifetime or annual limits, etc). Without getting into details that will confuse you, PHS 2711 is one of the big reasons that HRAs integrate so well with a group health insurance plan. Question: Why would I want to “integrate” an HRA with a group health insurance plan? An employer puts in a higher deductible PPO (with the higher deductible, premium dollars are saved). The employer then “integrates” an HRA with the higher deductible group health plan to help cover the raised deductibles, co-payments, and other out of pocket expenses. In this example, premiums are lowered, and the additional out-of-pocket risk (higher deductibles and co-pays) are picked up by the employer, tax-free. Question: How much money can I give to each of my employees in their HRA? Answer: There is no limit on this amount, because it is integrated with the group health insurance plan (which cannot have annual or lifetime limits). You can decide the amount that you would like to give to each employee. It’s very budgetable. You can also tier your contributions (ie: managers get $200/month, and drivers get $150/month). There are many different ways that this can be set up. It’s very manageable; you can customize your contributions how you like. Contributions are also distributed tax-free by employees into “qualified medical expenses” through Section 105. As you can see, when properly designed, an “Integrated HRA” can be a valuable and important employee health benefit. They are a very “money smart” concept to help employers save money, and provide quality health coverage. The Integrated HRA can be also considered another form of defined contribution health planning (because an employer is defining a contribution to an HRA). If you have further questions about setting up an Integrated HRA, please contact us at any time. They’re very simple to administer. We work with a couple of different HRA third party administrators. Welcome back to another edition of “Benefits Chalk Talk.” Our biggest goal in this blog series is to help you understand all of the different tools (and planning strategies) that fund healthcare. By providing you with valuable, up-to-date, and relevant information… we’ll give you the power to put things in place that make the most sense for yourself or your business. Knowledge is power; you’ll be able to put a comprehensive program in place for yourself or your company, while saving money. Today we’re going to be talking about “defined contribution” health plans again. In case you’ve missed past blog posts, we’ve talked about these concepts a little bit already. If you’d like to read up about the concept a little bit more before moving on with this post, you can find further information about it here. Smart Benefits: In most situations, it is a “smarter” way for businesses and individuals to fund healthcare (especially financially). It just makes better sense. Healthcare Reform: Depending on your defined contribution planning strategy, healthcare reform (ACA/Obamacare) has made current conditions more favorable towards defined contribution benefits planning. Technology: New computer programs and software are allowing businesses and companies to administer defined contribution health plans with ease. In most cases, these are what are called TPAs (or Third Party Administrators). Innovation & Creative Benefits Planning: Businesses and companies have been dealing with rising healthcare costs for quite some time (especially with standard group health insurance plans). It has been tiresome and burdensome to find the right coverage, and contain costs. Defined contribution planning can address both of these issues. The above listed are a few of the reasons why defined contribution health planning is becoming more popular. Now that you have a better understanding, the remainder of this blog post will concentrate on the different strategies using defined contribution concepts and components. Defined contribution health plans are an allowance given to employees by an employer. An employer decides each month (or year) how much money they’d like to give to each employee to spend on healthcare benefits. That’s all it is. As you can see, it’s very simple and budgetable. Once an employer gives each employee an allowance, the employee then decides how they would like to spend their money. It really is that simple. There are a number of different strategies that can be utilized when setting up a defined contribution health plan. In this blog post, we’re going to describe those defined contribution strategies in their most basic form. We’ll get into further details about each strategy in later blog posts. Group Health Insurance Plans with an HRA: This is what is called an “integrated” HRA (it is integrated with a group health insurance plan). A group health insurance plan (typically a high deductible plan) is offered to employees. The employer then decides on a monthly allowance (the defined contribution) to give to each employee through the HRA. The employee utilizes the HRA funds towards qualified medical expenses (ie: the deductible, etc). Essentially an employer is partially self-funding with the HRA, and retaining funds that would normally go to insurance companies. Group Health Insurance Plans with HSAs: Certain TPAs or Third Party Administrators (who are usually also technology companies), partner with insurance carriers to set up a pre-determined arrangement of group health insurance plans. Then, a TPA (like www.liazon.com) allows clients to select which products fit them best. The employer still decides the amount of money they would like to give to each employee each month, and employees chose the plan they want (still the defined contribution concept). In this strategy, HSAs are usually used instead of HRAs. After Tax Stipends: You “define a contribution” (ie: $300) per month, and employees then purchase their own individual health insurance plans. Employees can pick from insurance policies that are both on or off the public health insurance marketplaces (where they may receive substantial subsidies, based on income). This strategy is budgetable, and gets business owners out of the business of making insurance decisions. Employees make their own decisions and purchase their own plan. Effectively, all it is is an after-tax stipend. A raise. As described above, there are a number of different strategies where an employer can utilize the “defined contribution” planning model. Those listed are only a few of them, and there are further details regarding all three. If you have questions, we encourage you to contact us. We work with the TPAs (Third Party Administrators) that can make defined contribution health benefits planning work for your company. Defined contribution health benefits planning strategies will also continue to evolve and change, as further guidance is rolled out from the Department of Labor, and HHS. We stay on the front end of all of that, and will continue to keep you up-to-date. Benefits Chalk Talk: What are the differences between a Health Savings Account (HSA) and a Health Reimbursement Arrangement (HRA)? Welcome back to another post in our series called “Benefits Chalk Talk.” This series is designed to help people and employers better understand all of the tools that are available when funding their healthcare. Our biggest goal is to help our clients and potential clients put the things in place that make the most sense. This post will help you make comparisons between two very important concepts: Health Savings Accounts (HSAs), and Health Reimbursement Arrangements (HRAs). The reason these two are so important is because they are “money smart” concepts that can help you retain funds. When utilized correctly and with the proper guidance, they can help you save premium dollars that would normally go to the insurance companies. Can I get a general overview of both an HSA and HRA? What exactly are they? Health Savings Account: HSAs are accounts that are created at financial institutions (usually banks). It is established in an employee’s or individual’s name. An HSA helps someone save and pay for medical expenses tax-free. The account is owned by the individual. Participation in an HSA requires enrollment in a high deductible health plan (HDHP). Health Reimbursement Arrangement: HRAs are the funding option that gives the employer the most control. The employer determines what services are covered, the amount they want to give each employee, and retains control over unused funds. Who can make contributions to an HSA and HRA? Health Savings Account: An employer can contribute to an HSA. The employee/individual can also directly contribute to an HSA. Further, an employee can re-direct salary to an HSA account. Health Reimbursement Arrangement: The employer is the only one that can contribute to an HRA. An employee may not contribute to an HRA in any way. Who owns an HSA and HRA account? Health Savings Account: The individual/employee owns the account. Health Reimbursement Arrangement: The employer owns the arrangement/account. Who has responsibilities during claims when they pertain to HSAs and HRAs? Health Savings Account: Only the employee is responsible for maintaining supporting claims records. The employer does not need to be involved. Health Reimbursement Arrangement: This is an ERISA plan. The employer (or HRA administrator) must substantiate claim expenses. How involved do I have to be as an employer? Health Savings Account: There is no employer involvement required in administration or compliance. Although, the employer may contribute and allow for payroll deferral (either after-tax, or through Section 125). Health Reimbursement Arrangement: This is an ERISA plan, where compliance is required (proper reporting documents and administration). Do my funds rollover year-after-year? Health Savings Account: Yes. Funds in a Health Savings Account will rollover year-after-year. There is a maximum yearly contribution that is adjusted at times. The account goes with the individual/employee if they leave or change jobs. Health Reimbursement Arrangement: Employers generally allow some rollover for future years’ use. However, money does not go with the employee, if the employee changes jobs. The above questions should give you a basic understanding about the differences between an HSA and HRA. There are additional details about planning strategies when using HSAs and HRAs. Each business and individual is unique, so please contact us anytime to get further information about what types of insurance plans may fit your situation best when working with a Health Savings Account or Health Reimbursement Arrangement. These are both very valuable tools. http://policyadvantage.com/wp-content/uploads/2018/11/New-Font-Design-1-300x124.png 0 0 PolicyAdvantage http://policyadvantage.com/wp-content/uploads/2018/11/New-Font-Design-1-300x124.png PolicyAdvantage2013-02-11 09:25:202013-02-11 09:25:20Benefits Chalk Talk: What are the differences between a Health Savings Account (HSA) and a Health Reimbursement Arrangement (HRA)? Flexibility, Freedom of Choice, and Quality of Coverage: HRAs are flexible in the sense that they can help in just about any employee benefits setting. They’re really a “universal key.” It doesn’t matter what you currently have in place, they can be very beneficial in your planning strategy. In many cases, HRAs also allow an employee to choose the plan that fits them best, and “consumer direct” their program. Budgetability and Ease of Administration: We have talked about the “defined contribution” concept w/ respect to employee benefits in past posts. This is that concept: the HRA allows an employer to make decisions based on how much money he/she would like to contribute to each employee’s HRA (it’s much like a monthly allowance, tax free). Employees then make their own purchasing decisions. That’s the defined contribution… and it’s budgetable. With the help of a third party administrator (TPA), administration is easy. 5 minutes a month. Tax Incentives: “Qualified Medical Expenses” can be reimbursed tax-free through payroll with the help of Section 105 HRAs (this includes individual insurance premiums). Employers can utilize the tax incentives, flexibility, budgetability, and simple administration to tailor a program that fits the exact needs of each business. Employees also have freedom of choice (to pick any plan); they will become involved in their own decision-making. We will get into further detail about how an HRA goes in to place, step-by-step, in future posts. Keep in mind that these are an important concept w/ regard to healthcare reform. They’re a valuable employee benefit, regardless of your future strategy when it comes to navigating the new legislation (ie: whether you decide to utilize private or public options). 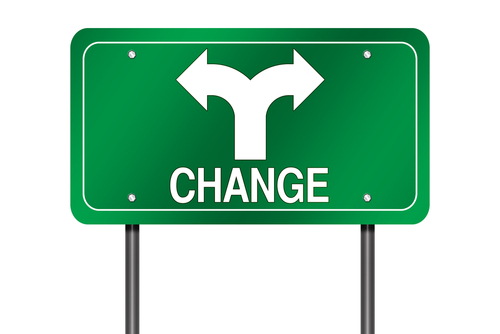 Important Editor’s Note 11/22/2013: Since these original blog posts, federal guidance regarding “Stand-Alone HRAs” (which are addressed in-depth throughout these articles) has undergone significant changes. In order to stay in full compliance, please be advised that there are now many additional considerations when adopting this type of benefits planning strategy. Consult with a proper broker or insurance professional before utilizing employer dollars to purchase individual health insurance policies. Much like we did in the last post, we are going to explain “defined benefit” and “defined contribution.” This time, we’re specifically referring to employer health benefits. Here we go. Simpler Terms: The benefit (health insurance), has been defined (the type of coverage the company allows you to select, typically a PPO or HMO). Simpler Terms: The contribution (funds to the HRA), have been defined ($300 per month). Starting post-2014, employer health benefits (especially in groups of under 50 employees), will begin to make the change from the defined benefit (group health insurance plan) model, to the defined contribution (HRA) model. Gone will be the days of “minimum participation requirements” and “minimum contribution requirements” (as were seen in group health insurance plans). Instead, employers will begin to decide how much money they would like to contribute to each employee’s HRA (the defined contribution), and then let employees make their own purchasing decisions. Thanks for stopping by, we hope you found this information to be informative and valuable.